According to classical sources, the war began after the abduction (or elopement) of Queen Helen of Sparta by the Trojan prince Paris. 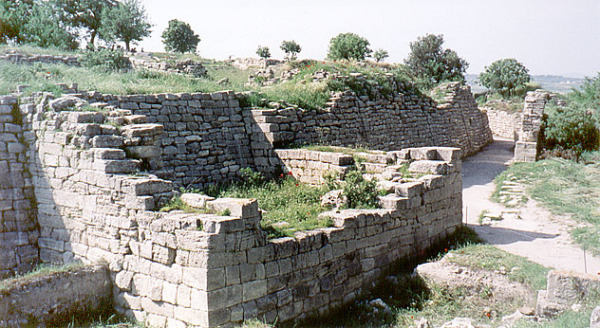 Helen’s jilted husband Menelaus convinced his brother Agamemnon, king of Mycenae, to lead an expedition to retrieve her. 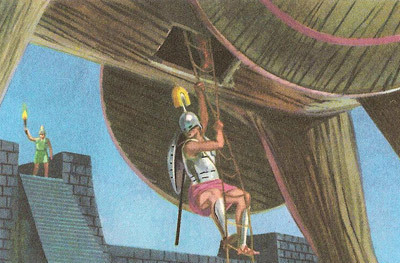 Agamemnon was joined by the Greek heroes Achilles, Odysseus, Nestor and Ajax, a nd accompanied by a fleet of more than a thousand ships from throughout the Hellenic world. 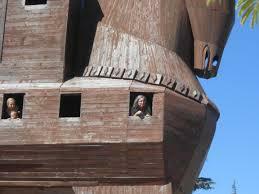 They crossed the Aegean Sea to Asia Minor to lay siege to Troy and demand Helen’s return by Priam, the Trojan king. Some traditions portray Homer as a blind poet because the name Homer sounds like a word for "blind" in some Greek dialects. In the “Odyssey,” a blind bard appears telling stories of the war, which some interpret as a cameo by the poem's author. 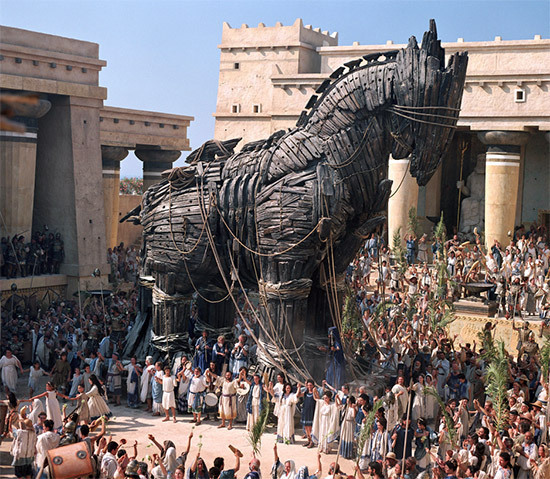 The siege, punctuated by battles and skirmishes including the storied deaths of the Trojan prince Hector and the nearly-invincible Achilles, lasted more than ten years until the morning the Greek armies retreated from their camp, leaving a large wooden horse outside the gates of Troy. After much debate (and unheeded warnings by Priam’s daughter Cassandra), the Trojans pulled the mysterious gift into the city. When night fell, the horse opened up and a group of Greek warriors, led by Odysseus, climbed out and sacked the Troy from within. After the Trojan defeat, the Greeks heroes slowly made their way home. Odysseus took ten years to make the arduous and often-interrupted journey home to Ithaca recounted in the “Odyssey.” Helen, whose two successive Trojan husbands were killed during the war, returned to Sparta to reign with Menelaus. After his death, some sources say she was exiled to the island of Rhodes, where a vengeful war widow had her hanged. Little is known about the historical Homer. Historians date the completion of the “Iliad” to about 750 B.C., and the “Odyssey” to about 725. Both began within the oral tradition and were first transcribed decades or centuries after their composition. Many of the most familiar episodes of the war, from the abduction of Helen to the Trojan Horse and the sack of Troy, come from the so-called “Epic Cycle” of narratives assembled in the sixth century B.C. from older oral traditions. Many portions of the Trojan War epics are difficult to read historically. Several of the main characters are direct offspring of the Greek gods (Helen was fathered by Zeus, who disguised himself as a swan and raped her mother Leda), and much of the action is guided (or interfered with) by the various competing gods. Lengthy sieges were recorded in the era, but the strongest cities could only hold out for a few months, not ten full years.